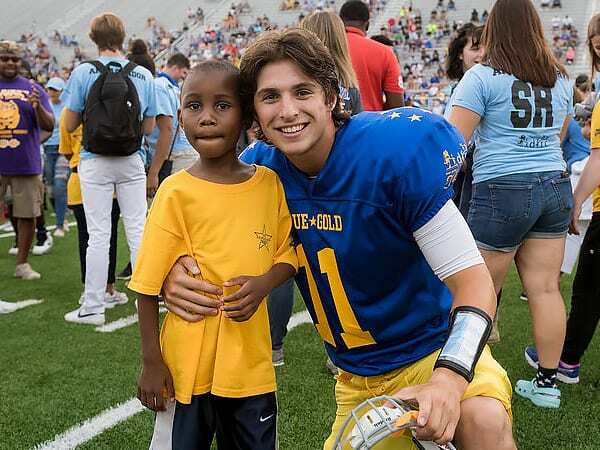 Every summer, our university becomes a home away from home to multi-day conference guests, summer program participants, and sports & academic camps. 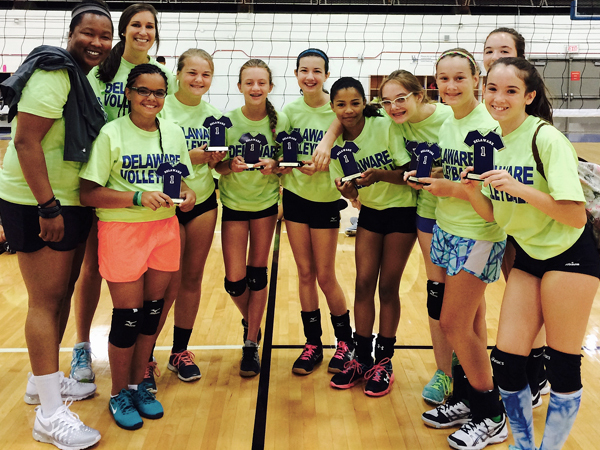 Academic Camps, Sports Camps, and Summer Conferences all find a home in our Newark Campus. 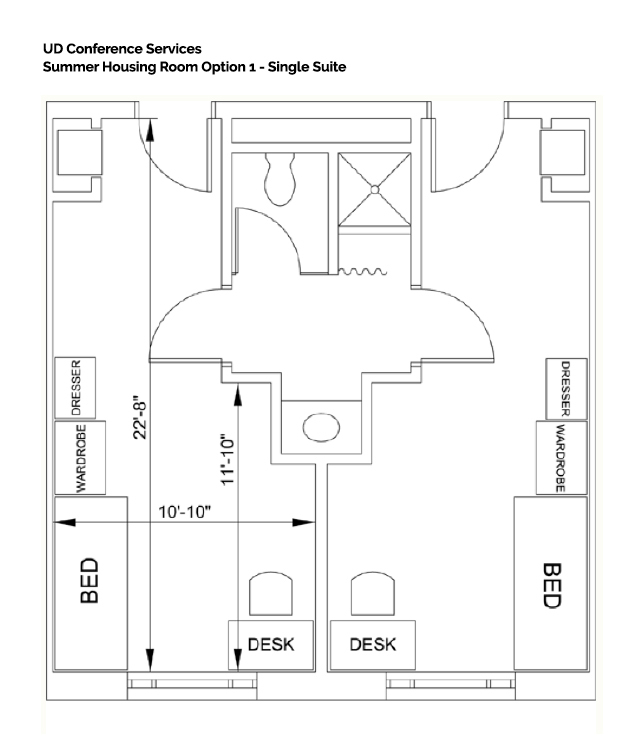 Residence Halls can accommodate large groups and can be redesigned as suites. Access to sports fields, sports complexes, open lawns, auditoriums, classrooms, labs, and theaters make planning work and leisure time easy. Mix and match dining options with our full catering services or dining hall style convenience. 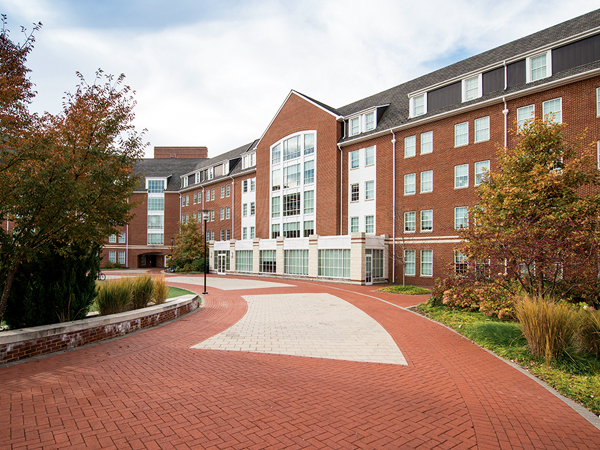 The University of Delaware Conference Services (UDCS) operates a total of 6 residence halls to meet your summer housing needs. We also offer full and partial meal plans at our North Campus Dining Hall. 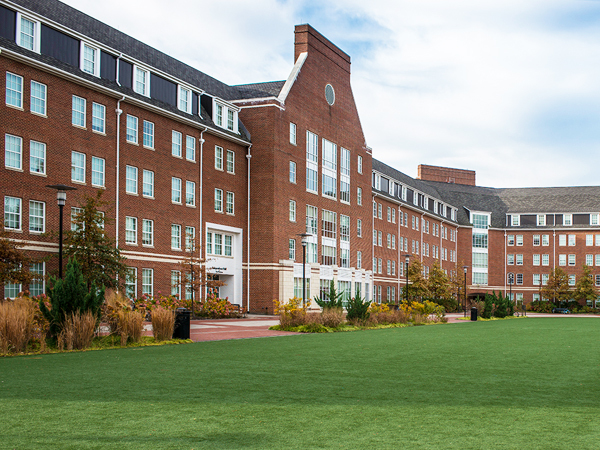 We invite you to learn more about our residence hall features and amenities and submit your application by downloading the following documents. 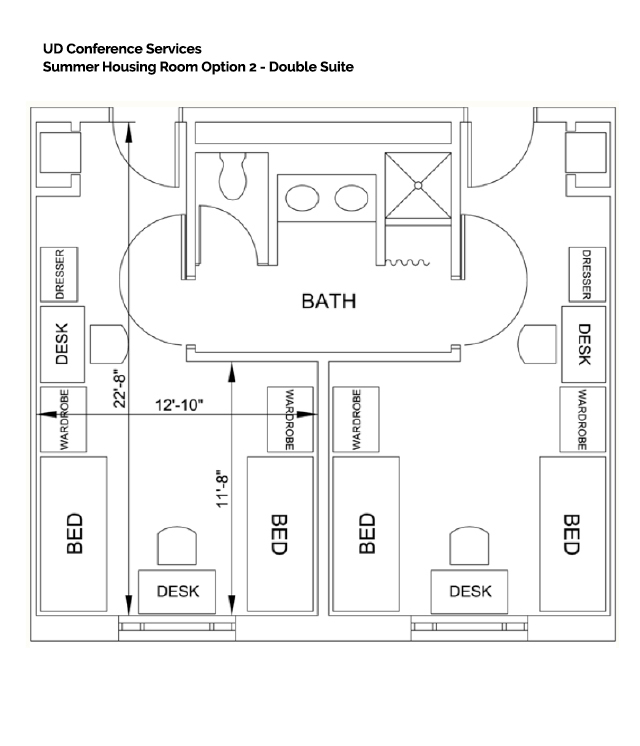 What campus housing arrangements are provided for summer programs? 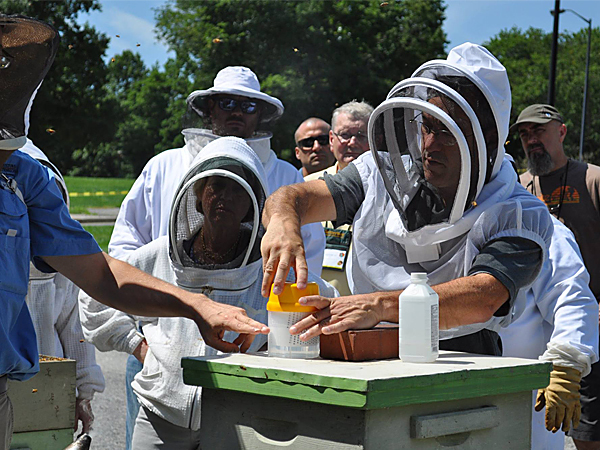 Participants for summer programs are housed on the Laird Campus at the University of Delaware. Housing request forms are date stamped upon receipt and rooms are then assigned on a first come first serve basis. The University does its best to accommodate preferences; however, due to popularity, we may not always be able to honor first choices. All rooms have heating/air-conditioning controls, furnished with a desk, chair, wardrobe, and overhead lighting. They have extra-long twin (XLT) beds, 80”. We provide linens to ‘rent’ at the front desk of the Christiana Commons for $25/set (1 set is: tissue pack, towel, washcloth, bath soap & shampoo, 2 flat sheets, a blanket and pillow with pillowcase). All rooms are cable ready. Should you decide to bring a TV, please be sure to bring all cords needed for connection. The housing request form can be downloaded here. Check-in and check-out dates must be strictly adhered to as the custodial staff must get in and clean the room for the next guest checking in. You will NOT need a UD ID. Upon arrival, all guests will check in at the Christiana Commons Lobby or Specified Check-in location. As a rule, check-in begins at 2 p.m. unless arrangements for an earlier time have been made and approved by a housing manager in advance. You will get a room key and a key FOB/Access Card at check-in. 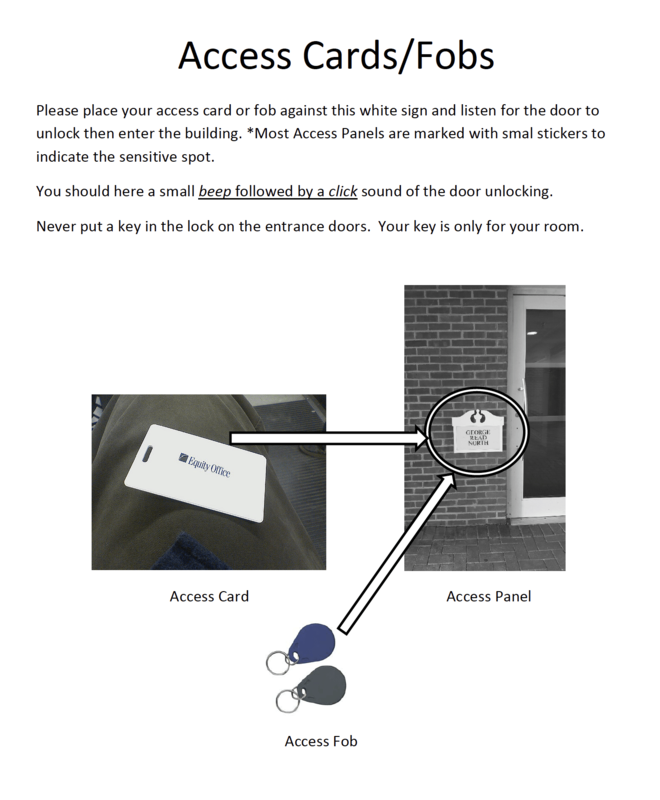 View instructions on how to use the Access Cards/Fobs. Check-out is by 11:00 am unless arrangements have been made and approved by housing manager in advance. All room keys, access cards/fobs must be turned in at check-out. How do I register and pay for housing? Completed housing application should be emailed directly to Cathy Matthews, our summer housing manager, on or before April 30th. Housing for your event is arranged through UD Conferences Services. Once Conference Services has received the majority of housing contracts, groups will be placed accordingly. You will receive an email at the address provided with more information approximately 2-3 weeks prior to check-in. What do most people do for meals or food? All programs purchasing dining hall meals or points (for main campus lunches only) may purchase them from the summer housing manager or their event manager (if conference event). We also have a small market, the POD (Provisions on Demand), available with variable hours on Laird Campus in the Pencader Building. Main Street also offers a vast array of dining choices as well as small grocery, convenience, and drug stores within walking distance. Refrigerators are not supplied during the summer. If you need to rent a refrigerator please contact 1-800-525-7307. The University does not accept any responsibility for acceptance or pick up of your refrigerators and refrigerators may not be delivered prior to your arrival and must be picked up prior to your departure. It is the responsibility of the person who rents the refrigerators to be sure that the refrigerator is removed prior to their departure. The University has someone moving in the room right behind you so no access is given after departure. 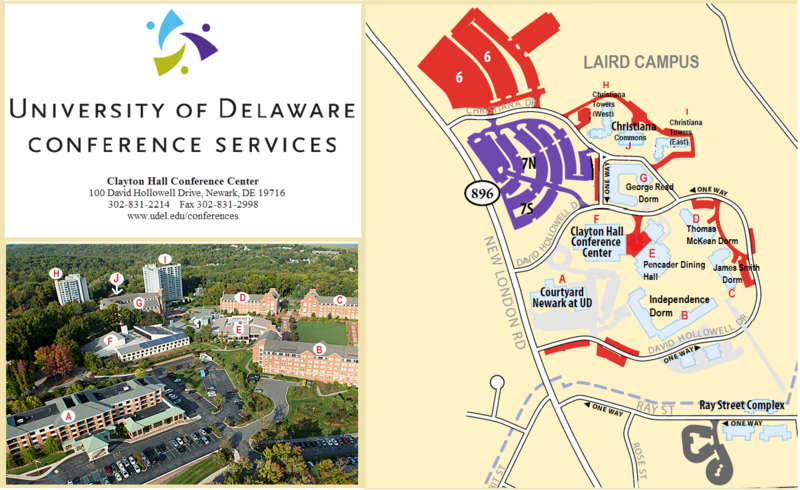 For those living on campus, parking is available near the dorms on Laird (North) Campus. While it is about a 15 minute/1.25 mile walk to, participants may choose to purchase a permit which would allow you access to lots closer to the venue you will be using. Please call Parking Services at (302) 831-1184 or go to their Website to obtain parking passes. Visit Parking Services to view lot locations and other types of available permits and pricing. Summer Programs are not eligible for Grey Passes. 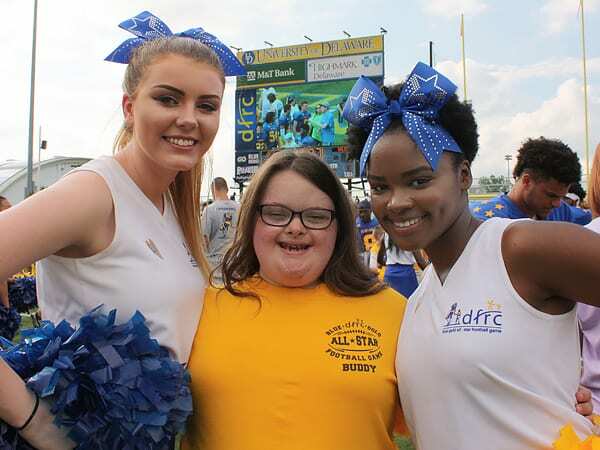 Parking meters are never free/University spaces are not to be parked in/handicap must be displaying a handicap tag or license plate and must be registered with the University of Delaware. Is there a UD Shuttle Bus? Yes, UD has free shuttle buses that run from the various locations on-campus. Click here for shuttle bus information. 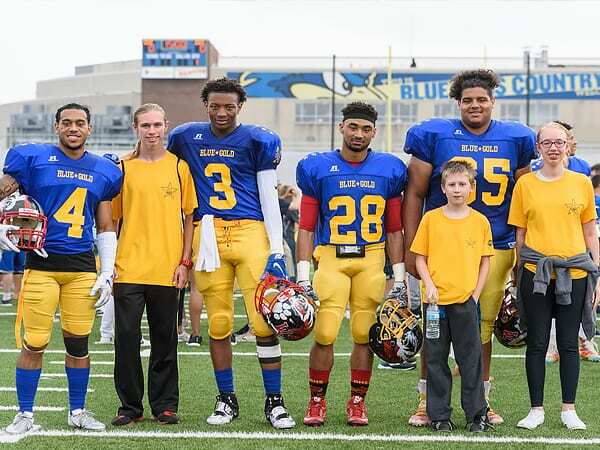 How do I travel to the University of Delaware by air or car and/or train? Arriving via Baltimore/Washington International (BWI) or Philadelphia International (PHL) airports will be similarly convenient. PHL is approximately one hour north while BWI is about one hour and 15 minutes south of the I-95 exits to campus. Choose travel to/from the airport that best suits your flight times and finances. Two train services are available to bring you to Delaware from PHL: SEPTA (South Eastern Pennsylvania Transportation Authority) and Amtrak. Both rails arrive at the same station in Wilmington, DE, but have different costs. Amtrak train service runs full service to Wilmington, DE with limited service directly to Newark, DE. For travel from the airports or train stations, we suggest Delaware Express – call 800.648.5466 or visit. Delaware Express’ one-way shuttle from PHL ($45 without tip) is significantly less expensive than the shuttle from BWI ($138 WITH tip and tolls) due to their expanded fleet for the PHL-UD run. 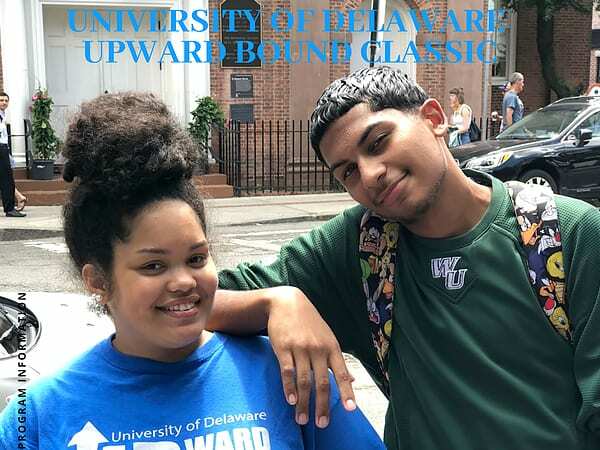 Mention that you are a UD student for an approximate 5% discount. You do not need to show an ID to get this discount. There are several rental car companies located near campus: Hertz and Enterprise. ZipCar is available on campus! Get more info here. Uber & Lyft are also widely available in the area. Do you recommend having a car while on campus? Cars can be helpful for things like larger grocery store shopping, department and mall shopping and weekend trips; otherwise, all essentials can be found within walking distance. There is plenty to do on Main Street so you shouldn’t feel the need to escape to find entertainment. Outdoor tennis, volleyball, and basketball courts are available for use. What type of weather should I expect in Delaware in the summer? Expect generally humid mornings with afternoon temperatures in the mid-high 80’s. You should have comfortable evening temperatures. We recommend packing for occasional rain. What else might I pack or plan to purchase on Main Street upon arrival? How do I receive/send mail? Mail cannot be delivered directly to the residence halls during the summer months. Guest mail may be sent via Summer Housing at the Christiana Commons instead. Package Deliveries are generally delayed by 2 days in many instances due to transfers from the shipper. Summer Staff does not notify summer attendees of mail/package delivery. All attendees are responsible for picking up their mail within 2 weeks of delivery or mail/packages are returned to sender. We recommend that you utilize Amazon Lockers and USPS PO Boxes for summer mail. The following address must be used for any mail/packages arriving at the commons or mail will be returned to sender. Front Desk Hours are 7am-11pm, 7 days a week. What is the Kitchen and Lounge use policy? Kitchens and Lounges are NOT eligible for individual or group reservation. Kitchens are to be used solely for culinary purposes (cooking/food preparation), and all groups are responsible for their own cleanup and trash removal. The University does not provide any kitchen equipment, cleaning supplies, utensils, etc. Kitchen privileges will be revoked from any group that violates the kitchen use policy. We do NOT allow you to store any kitchen supplies in the kitchen. We do NOT allow you to leave food items in the refrigerators for a period of more than 24 hours. Any food items left in refrigerators will be disposed of. The University and staff will NOT be held liable for any food, cooking utensils, nor any other items that have been left in the kitchen or not properly disposed of. ALL trash and waste must be removed from the University premises and properly disposed of in the dumpsters located outside of each building. 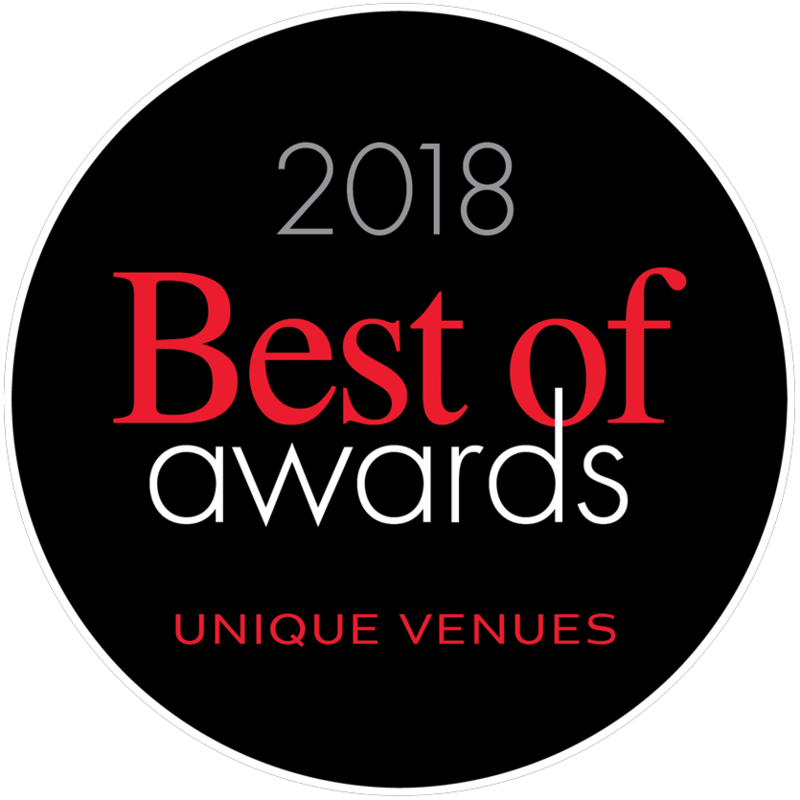 If you are with a group that needs refrigerator/freezer storage for a special event, you MUST contact Cathy Matthews to ensure that your building Custodial Manager is aware. Lounges CANNOT be reserved at the University of Delaware unless your group is the only group in the building or on that specific floor. Lounge fees vary depending on what you are reserving the lounge for. All lounge space is for the use of the entire building, and no one is permitted to block off, post signs, or in any way prohibit anyone from entering the space. If you would like to reserve a space for meetings, please contact Cathy Matthews. 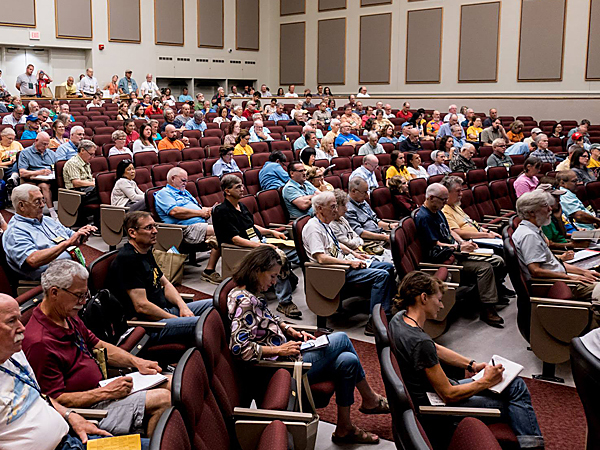 Meeting spaces are available in the Christiana Commons and at Clayton Hall for a fee. Is there a map showing the campus housing area? 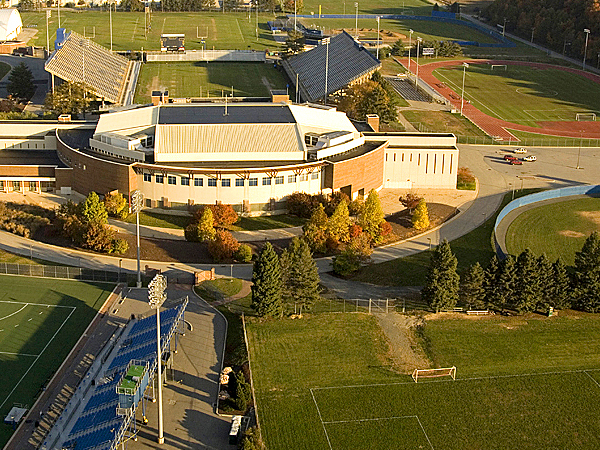 Download a map of the Laird Campus here.